Getting the girls together in New Orleans for a bachelorette bash (or any reason for that matter) but only have 48 hours to squeeze in as much quality time as you can? 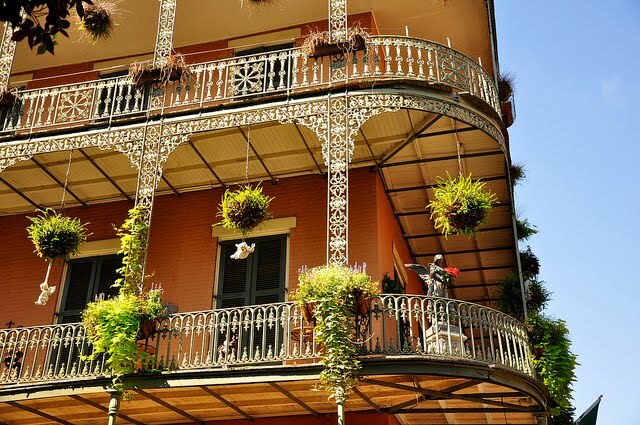 With all that the Big Easy has to offer, the choices can be bedazzling. To help you focus on having fun but skip the stress, our team at LastBash has curated two sample itineraries that are sure to make the weekend an unforgettable one! Check in to the elegant Windsor Court Hotel. Contemporary Louisiana cuisine at MiLa to kick off the weekend. See and be seen at Cure in Uptown, one of America's top bars. Beignets and frozen café au lait from Cafe du Monde. Escape to The Spa at The Ritz-Carlton for the ultimate in pampering and relaxation. Afternoon tea, sandwiches and scones back at the hotel's Le Salon. Lounge by the hotel rooftop pool for a little R&R before the night's festivities. Jazz at Preservation Hall or dancing at Republic. Jazz Brunch at the venerable Commander's Palace to close out the fab weekend. Check in to the chic Renaissance Arts Hotel. Sample the best of Cajun Southern Cooking at Cochon - gators, shrimp etoufee and more. Lounge with the ladies at Bar Tonique. Mani-pedis with the crew at Serenity Spa. Lunch at Lilette, "the sexiest dining room in New Orleans." Explore the picturesque Garden District or peek behind the scenes of Mardi Gras at Mardi Gras World. Celebrate the get together with fantastic contemporary American fare at Bayona. Belt out karaoke at Cat's Meow on Bourbon Street or hop over to d.b.a. for live music. Brunch in the intimate courtyard at Cafe Amelie before concluding the fabulous girlfriends' getaway weekend. How about a Pole Dancing Bachelorette Party at Pole Perfect Fitness. Located in Downtown Fitness Center. 333 Canal Street, New Orleans in Canal One Place.